2000 - documentary - 52 min. Around 6,000 elephants, one third of all Asian elephants roaming the planet, live in the forests of Burma. The film follows the trials of one particular herd of wild elephant struggling to survive in the shrinking forests of Burma, and the deep and tangled history their kind has shared with man. The Burmese woodlands are under assault from international timber interests and the never-ending pressures of human settlement and agriculture. A population of wild elephants that once numbered over a million has been reduced to only several thousands animals. Elephant Power is the portrait of a species under siege. Wild elephants will survive in Burma as long as they will have enough space to roam freely. The animal’s numbers in Myanmar (former Burma) are relatively stable to the contrary of the rest of Asia, where populations have been shattered by poaching and deforestation. Burma is also home to more than half of Southeast Asia’s remaining closed-canopy forest. Merely 80 miles north of the capital Yangon, stretch the foothills of the Bago Yoma, a mountain chain of central Burma. Rice fields slowly give way to a deciduous forest of teak and bamboos groves, home to a herd of wild elephants lead by a matriarch. By the day, the frontier between farmlands and forest is moving further north, bringing more people to cut the trees and burn the lands for cultivation. The conflict between farmers and animals is inevitable. Yet Myanmar's forests are home to thousands of other elephants who lead safe, protected lives. The country is one of the last places in the world to see centuries-old Asian tradition of domesticated elephants and their keepers working side by side for the logging industry. As opposed to clear-cutting, The logging is done selectively, one tree at a time, , a method that does a lot less damage to the forest and does not require new roads to be built. To do it, they need Elephant Power. It’s the only way to extract timber without stripping away the entire forest. At dawn, the oozies (elephant handlers) bathe the animals in the river before the start of the workday. 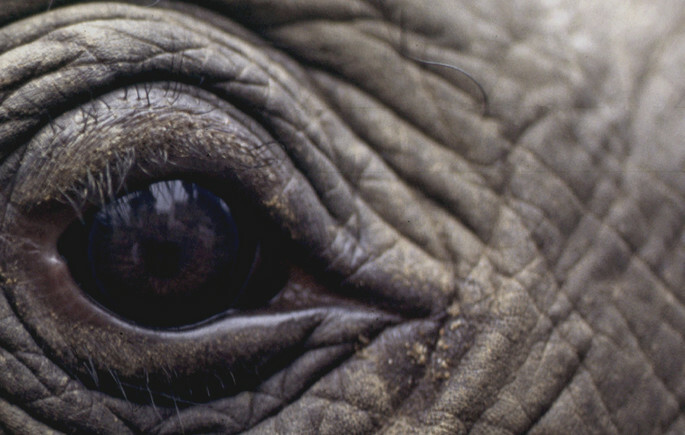 Despite their massive size, the work elephants are highly sensitive creatures who require care and close attention. But what a handler never forgets is that they are still wild animals. They are four tons of wild, constrained only by training, capable of killing a man in an instant. After the bath, the oozies tie a wooden harness to each animal and the pairs head into the jungle. In the Bago Yoma, the conflict with the farmers has forced the government to take measures. They are sending a team of hunters led by veterinarian U Saw Win to dart and capture an elephant in the area. Taking away a young elephant may intimidate the herd and it will certainly add new blood to the work camps. Domesticated animals bear few young and never enough for the logging fields. A young female is soon escorted out of the forest, like a prisoner of war. She will be taken back to the oozie camp where she will be broken and trained. Day and night, she will be subjected to constant noise and distress, until mind and body are pushed to the breaking point. Though the training and the work is hard on the animals, it may be better than the alternative: When domesticated elephants are replaced by logging machinery, their numbers in the wild usually plummet. They are often abandoned and become crop raiders, likely to be shot by farmers. U Saw Win, the veterinarian, believes that using Myanmar’s wild elephants as workers will guarantee their future. To him, the price of survival is the end of freedom.